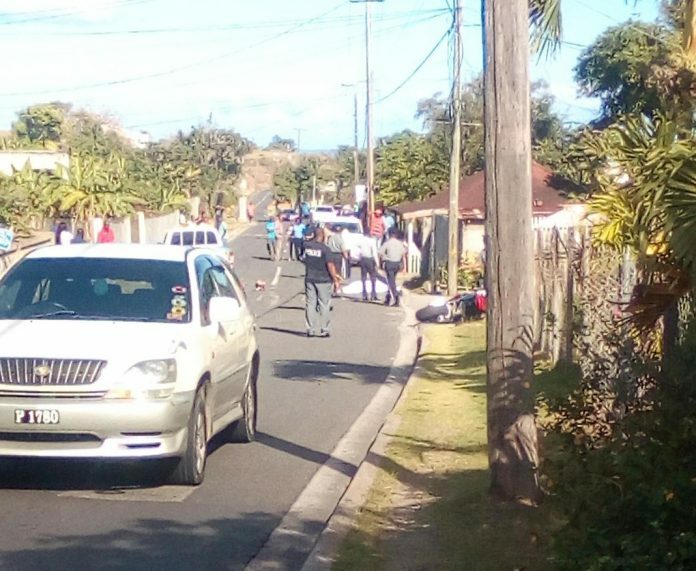 BASSETERRE, St. Kitts — Police are investigating a fatal accident that occurred just after 2 p.m. yesterday. The accident involved motor bike P922, which was owned and ridden by Stuart James David of New River Estate, and pickup truck P2948, which is owned and was being driven by Orville Bartlette of Cole Hill, Gingerland. Investigations so far have revealed that motor bike P922 was traveling from Gingerland heading towards Charlestown, while pickup truck P2948 was traveling in the opposite direction. Upon approaching Chicken Stone P922 and P2948 collided. David was pronounced dead at the scene. He was 44-years-old. Next articleMagistrate Harris right on charges: QC Browne.